Have you ever noticed how nice your face looks when your hair is in a ponytail? The skin is pulled taut, fine lines become smooth, cheeks appear more prominent, and the edges of your eyes are slightly lifted. Many women have seen this difference and asked themselves, “Why can’t I look like this all the time?” Fortunately, with one of today’s most innovative procedures, there is no reason you cannot. 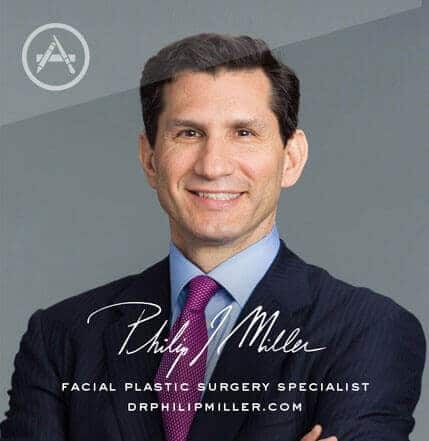 Dr. Miller offers patients in Manhattan the cutting-edge Micro Lift; designed to mimic the improved appearance that comes with pulled back hair. The minimally invasive procedure is virtually pain-free, takes less than an hour in the office, and is performed under local anesthesia. Perfect for busy women not ready for a full Facelift or who do not want the commitment of a long recovery. The Micro Lift is quick, safe, and requires little downtime. Who is a Candidate for the Micro Lift? To determine if you are a good candidate for this minimally invasive facelift technique, pull your hair up in a tight ponytail, and look in the mirror. Do you like what you see? Does the lift open up your eyes, making you look awake and refreshed, your cheekbones increasingly defined, and your skin youthfully taut? If so, you are an excellent candidate for the Micro Lift. Women from their early 20s through their 40s, and beyond, who want to erase the early signs of aging and experience permanent results, but are not ready for an invasive full-facelift, can find their desired results through the Micro Lift. As with any other cosmetic surgery, patients should be in generally good health and have realistic expectations for the procedure. To start your journey towards a refreshed and rejuvenated appearance, begin with Internet research. There is a wealth of information easily accessible online, so tap into it. See which procedures sound like they would be a good fit for your goals, needs, and lifestyle. Learn all you can about various Facelift techniques. The next step will then be to contact Dr. Miller’s office to set up a consultation appointment. During the initial office visit, Dr. Miller will review your medical history and do a brief physical exam, as well as discuss both your needs and goals. If at this time, it is determined that the Micro Lift is the right fit for your specific needs, an individualized surgical plan will be created. Do you have questions? Understand your procedure fully. At any time, if a question arises, do not hesitate to ask. Read through the post-procedure instructions given by Dr. Miller. If there are any concerns, contact our office immediately. The Micro Lift procedure takes less than an hour to perform, in Dr. Miller’s office-surgical suite, with a local anesthetic. The procedure begins with a small incision, well hidden within the hairline, in front of the ear. Through this, Dr. Miller will meticulously advance the skin and tissue in the same direction – mimicking how it would move in a ponytail. Excess skin and tissue will be carefully trimmed; the incisions will then be closed. Patients are able to rest and heal in the comfort of their own home the same afternoon as their Micro Lift. In a few days, patients will return to the office for a follow-up with Dr. Miller in Manhattan, and to have sutures removed. The Micro Lift is a minimally invasive procedure, requiring little downtime. Patients may initially notice minor swelling and redness at the incision site, but this will quickly fade. On the rare chance bruising occurs, it may take a little more than a week to completely resolve. The Micro Lift results in very little discomfort, although tightness or temporary numbness in the cheek area may occur. Patients are able to return to work or school within a couple days of their procedure. The Micro Lift is considered an extremely safe and effective procedure. 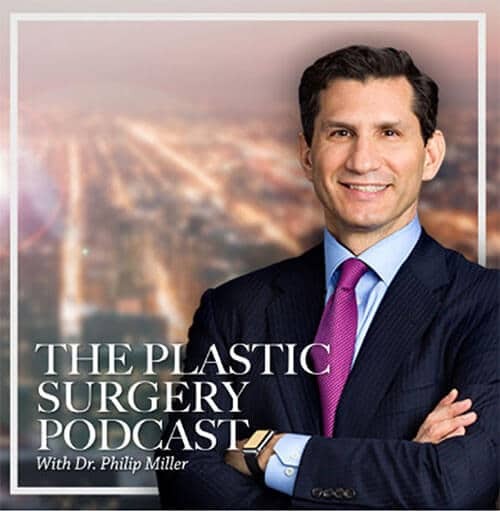 Dr. Miller’s meticulous attention to detail and priority for patient safety make the Micro Lift one of the most reliable surgical procedures available today. The chance for complications is extremely rare, although can include excessive bleeding, infection, delayed wound healing, asymmetry, and nerve damage. Q: How much does a Micro Lift cost? A: The exact cost of a Micro Lift will be determined at your consultation appointment with Dr. Miller. Q: What do I do before my Micro Lift procedure? A: To prepare for the Micro Lift procedure, pick up all prescriptions beforehand, and acquaint yourself with the recovery instructions provided by Dr. Miller. If you have any questions, contact the office as soon as possible. Q: How long is the Micro Lift procedure? A: Dr. Miller’s Micro Lift takes approximately one hour to complete. A: The benefits from a Micro Lift are long-lasting. To maintain the results, patients should follow a proper skin care routine and stick to a healthy weight. The skin and tissue will continue, however, to be affected by the normal aging process.